The state is declining to continue the prosecution of longtime Talk Radio host Jeff Styles in a road rage case. 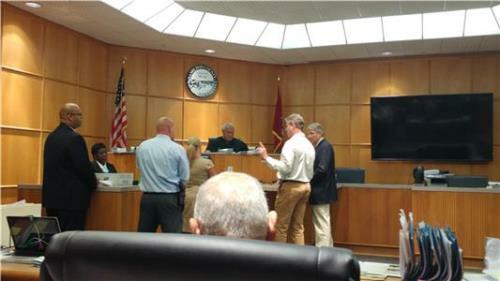 District Attorney Neal Pinkston signed a "no bill" on the aggravated assault charge. Attorney Lee Davis said, "Jeff Styles called 911 after he was shot. He cooperated in the police investigation and testified in court. Jeff has done everything possible to be fully accountable for his actions. Mr. Styles had been fired from WGOW Radio after the charge was bound to the Grand Jury following a long hearing in General Sessions Court. The radio personality was shot in the hand in the incident on a Friday afternoon in June on Highway 153 near Gwyn Road. He was arrested the next day for attacking another driver with a hatchet during the incident. Police said he told them he went into "red mode" after he and the other vehicle stopped at the same red light. He also said he blacked out after getting a tomahawk out of his vehicle and starting toward the other car. Police said they were dispatched at 4:27 p.m. to Highway 153 and Grubb Road on a person shot. Police found Mr. Styles suffering from a gunshot wound to his right arm. He said the person who shot him left going south on Highway 1. At the hearing, Mr. Styles said the other driver, Nick Bullington, had been waving a gun at him and driving recklessly toward him. He said when they got to the same red light he was convinced the other driver was going to get close to him and shoot him.